"It’s a tricky business, so they are counting on event organizers to give them accurate estimates and to set them up for success." Are you a food truck fan? This was my first mistake. My client was originally estimating 1000 guests. So, I decided that 10 food trucks (a combination of main meals and dessert or novelty offerings) seemed like a good number. My blunder was that I didn’t base that on any specific calculation. I literally picked the number 10 and decided to go for it. It turns out that food truck operators aren’t keen on competition! Because they can literally almost set-up anywhere on any given day, they’re looking for the best spot where they can maximize sales. If you have too many food trucks at an event, they feed fewer people and make less money. Apparently the rule of thumb is this: If your event is primarily an ‘eating’ event, you should hire 1 food truck for every 200-300 guests. If your event is not 100% focused on eating, the ratio is more like 1 food truck for every 400-500 guests. My client’s event was a first-time event so there was no previous history on attendance numbers to go on. We optimistically started off planning for 1000 participants. However, registration for the event was slow to take off and the attendance estimate dropped from 1000 to 750 to 500 to 400 and at one point, it was as low as 200 people! Yikes! As a result of my poorly calculated attendance estimate and lofty goal of having ten food trucks when I probably only needed two (see above), the local food truck operators weren’t giving me any love. None of them wanted in on this event. I now know that food truck operators have a lot of pre-event prep and expenses. They will begin ordering and preparing the proper amount of food days in advance. They don’t have the luxury of having a big kitchen in the back with extra supplies, so once they run out they run out. If they’ve ordered too much, they may have food waste. Plus, they have to travel to the event site and those food trucks are gas guzzlers! It’s a tricky business, so they are counting on event organizers to give them accurate estimates and to set them up for success. Food truck operators have lots of regulations to meet, especially when they are serving at private events. As an event organizer, it’s your responsibility to make sure they have permits, health and safety regulations, insurance, licenses, etc. in place prior to the event. To save yourself some grief, go with food truck operators who do a lot of special events like festivals and fairs and are ‘in the know’ about all the paperwork. Tip #4 – Determine Who Pays for the Food Consumed – Individuals or the Event Host? This is another key element to food truck success! You need to decide if individuals will pay for their own food (presumably in cash directly to the food truck operator) or if the event organizer will treat guests and then settle up with food truck operators after the event. In the case of my picnic, we decided to have the event registration fee include coupons to be redeemed at the food trucks during the event. I called them ‘food truck bucks’ and they were handed out in denominations of $5. Some event participants had $5 included in their registration fees and others had $10 or $15 – it depended on their registration category. In my original budget estimate for this event, I assumed 80% of event attendees would actually redeem their food truck bucks onsite. However, the food truck operators felt this was high. They argued that only 50% would likely use their coupons. They also felt that most people would only spend the amount they were given by event organizers and wouldn’t spend any additional money of their own on food. As you can see, my event was a tough sell for the food truck operators because of so many factors that could potentially substantially reduce their sales on the day of the event. It didn’t help that there were several other festivals and outdoor spectator events taking place across the city that day. This savvy group had lots of other options and they were asking all the right questions to help them maximize their revenues on that particular day. These are only a few of the many things that I learned about working with food trucks! Wow – do I have a new appreciation for these small business owners who are reinventing the event food industry. I’m helping to plan a company party at work and someone suggested that we hire food trucks. I wasn’t sure about the logistics of it, but after reading this article it seems like a very smart choice. I like that this article specifies that food trucks don’t want to deal with too much competition and you should hire 1 food truck for every 400-500 people at the event. Here’s my suggestion for the best approach … make a list of a few food trucks that you’re most interested in working with and then contact them to ask how many people they can serve in the timeframe of your event. This will help you determine if you need only one food truck option or two or three. This will also give you a good idea on how your preferred food trucks feel about competition. They may be okay with you bringing in a second truck that serves only dessert, for example. Good luck with your event! I liked your tip to work with your food supplier and let them know roughly how many people will be in attendance, so they can prepare to feed that many people. I am in charge of supplying the food for my sister’s wedding, so I am looking to hire a food service. I will be sure to check how many people will be in attendance, so the food servicer can properly prepare. Fantastic approach! I’m so happy you found this helpful. Best of luck with the wedding! 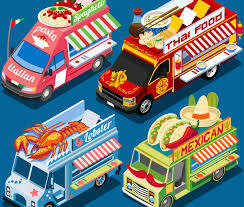 As there are several of points to be consider before hiring the food truck the most important point is check whether the food truck is familiar with organizing the event or not ,check whether food truck have any experience in organizing or not if it is then only come to final decision of hiring it. Thanks for your comment! That’s a great point.